CAPE CANAVERAL, Florida - NASA's Mars Atmosphere and Volatile EvolutioN (MAVEN) spacecraft that has been orbiting Mars for just over two years since its launch from Cape Canaveral, Florida in 2013, corrected its orbit to avoid a collision with the Martian moon Phobos. On Tuesday, MAVEN carried out a rocket motor burn that boosted its velocity by 0.4 meters per second (less than 1 mile per hour). 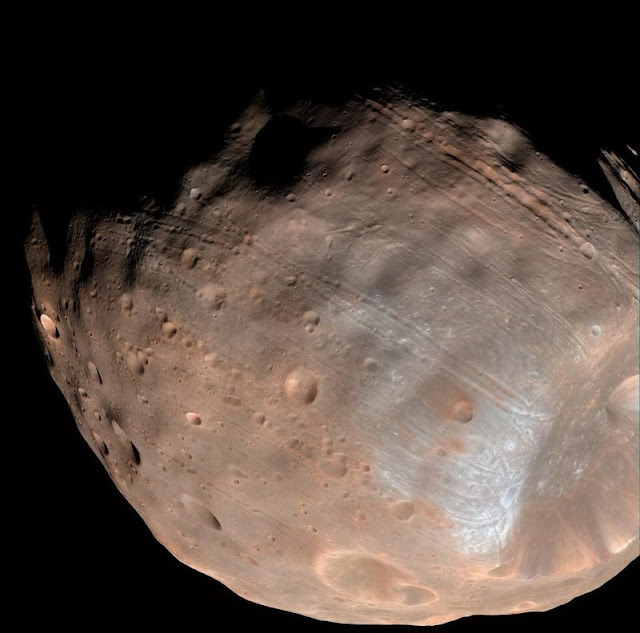 NASA scientists say that although the boost is a small velocity correction, it was enough to avoid a cosmic run-in that would otherwise have occurred with Phobos. This is the first collision avoidance maneuver that the MAVEN spacecraft has performed at Mars to steer clear of Phobos. The orbits of both MAVEN and Phobos are known well enough to scientists that this slight timing difference ensures that the two satellites will not collide. MAVEN, with an elliptical orbit around Mars, has an orbit that crosses those of other spacecraft and the moon Phobos many times over the course of a year. When the orbits cross, the objects have the possibility of colliding if they arrive at that intersection at the same time. These scenarios are known well in advance and are carefully monitored by NASA’s Jet Propulsion Laboratory in Pasadena, California, which sounded the alert regarding the possibility of a collision. With one week’s advance notice, NASA scientists believed that MAVEN and Phobos had a good chance of hitting each other on Monday, March 6.